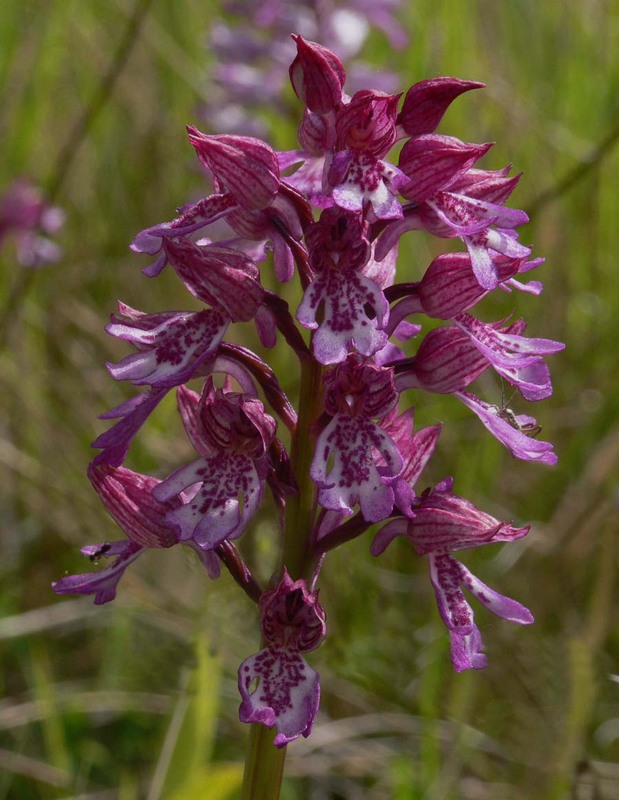 Hybridization amongst the militaris group of Orchis is by no means an uncommon phenomenon and particularly amongst the five more common members (O. simia, O. purpurea, O. italica, O. anthropophora and O.militaris) which on the continent, can often be found growing together in huge colonies and forming intermediates of bewildering variety. 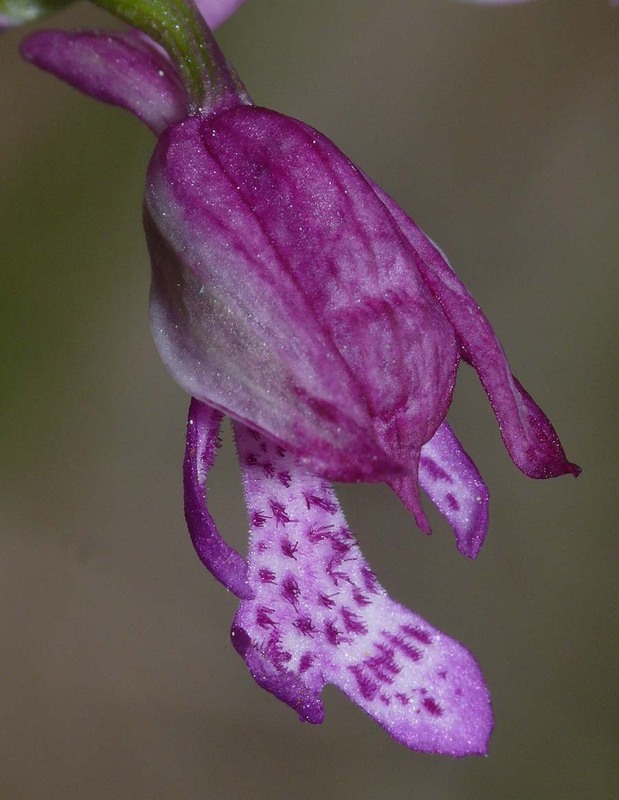 O. purpurea x O. militaris is by far the most frequently encountered of the hybrids and may crop up wherever the range of the two species coincide in sufficient densities. 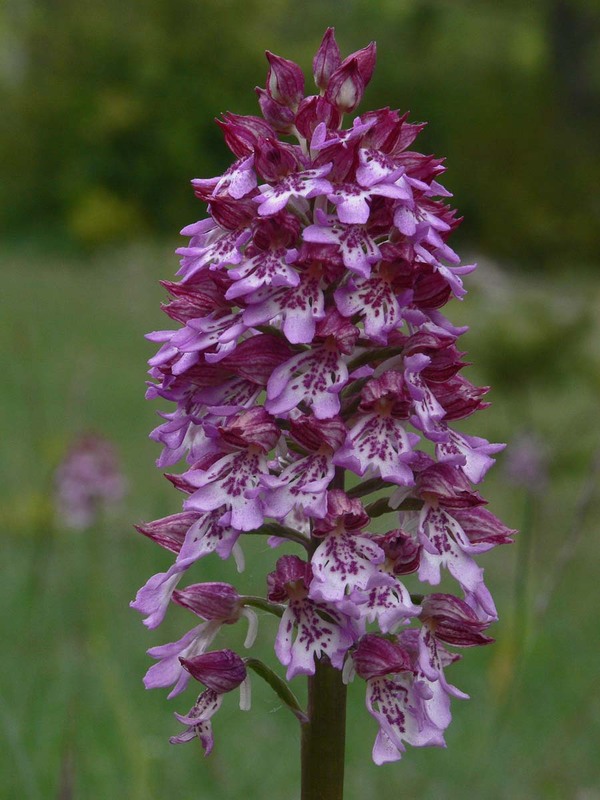 This overlap covers an enormous area from the UK in the north, down to the Mediterranean and eastwards to Russia. 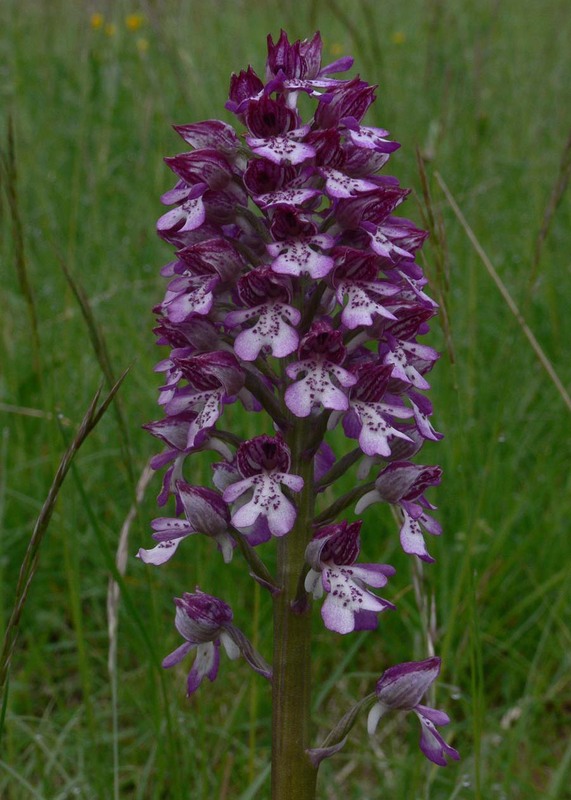 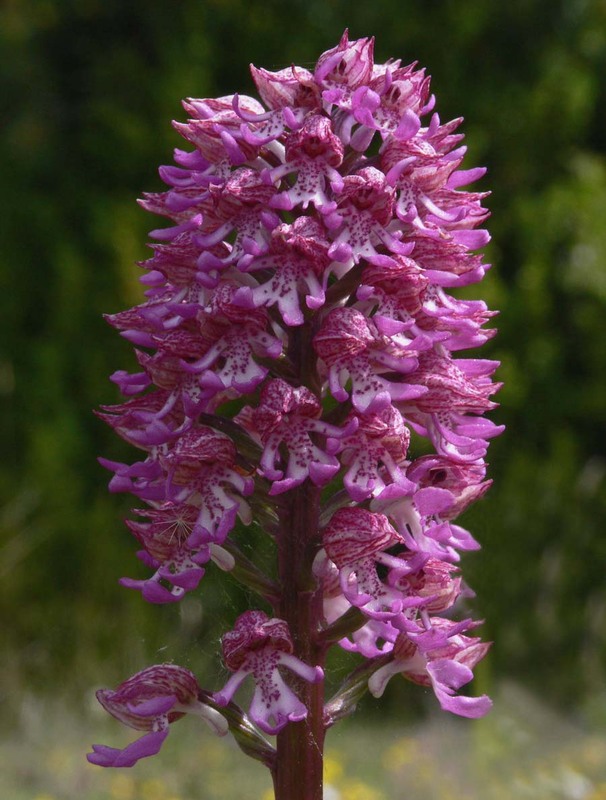 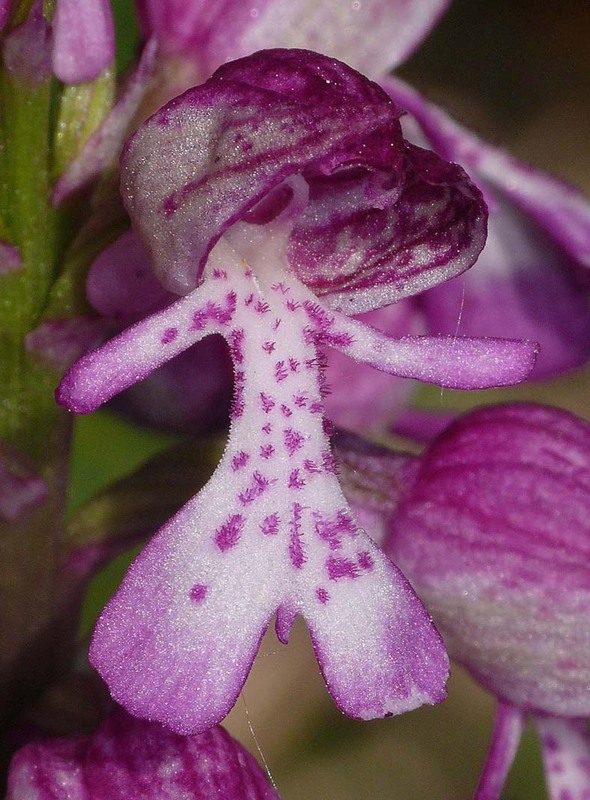 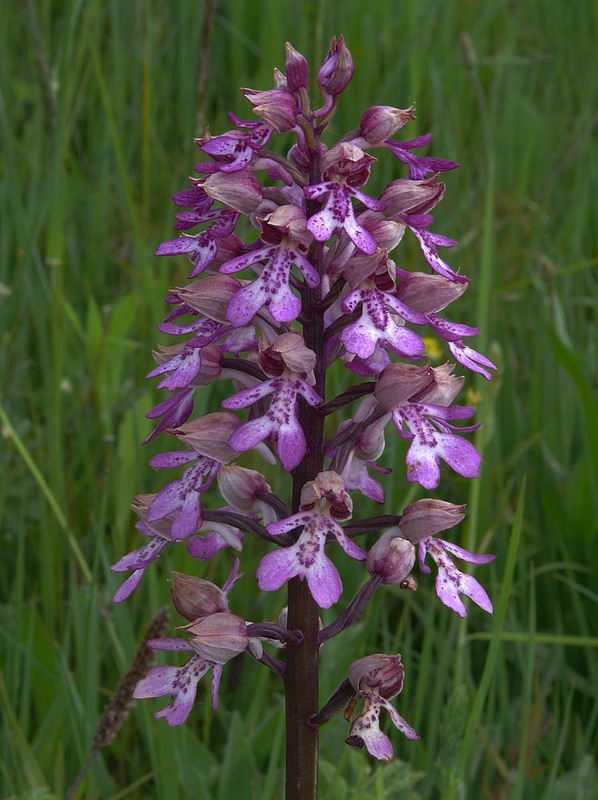 In the most northerly parts of their range and particularly the UK, both species are rare and this scarcity of sites ensures hybrids of the two Orchis are virtually unheard of. 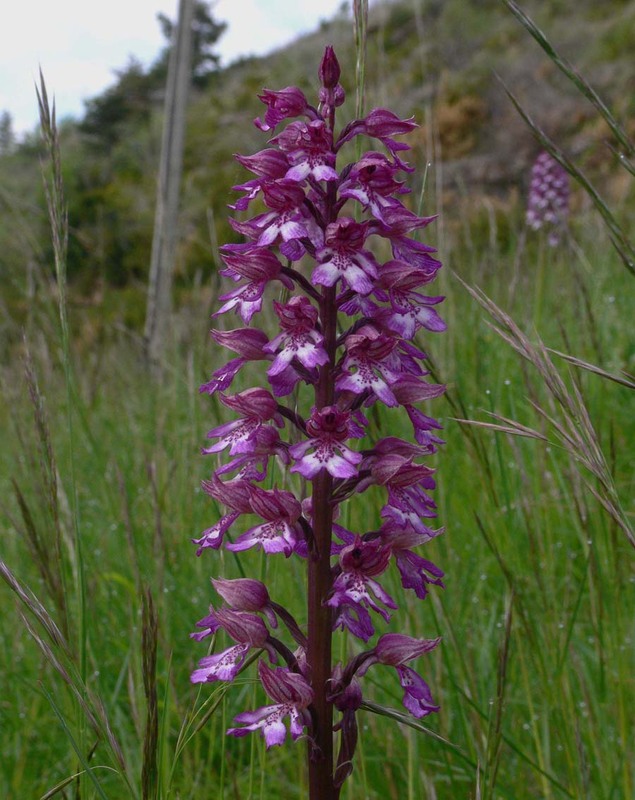 O. militaris and O. purpurea do not share identical habitat requirements so hybridization therefore tends to occur where the sheer numbers of plants make overlapping and cross pollination unavoidable. 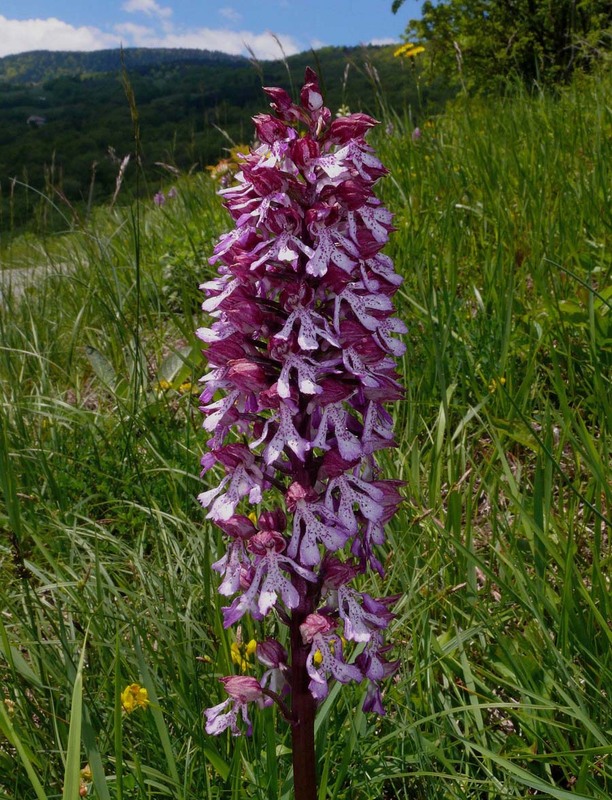 This is particularly the case in regions of Southern and Central France and many of the pictures accompanying this page, come from Causse and Vercors. 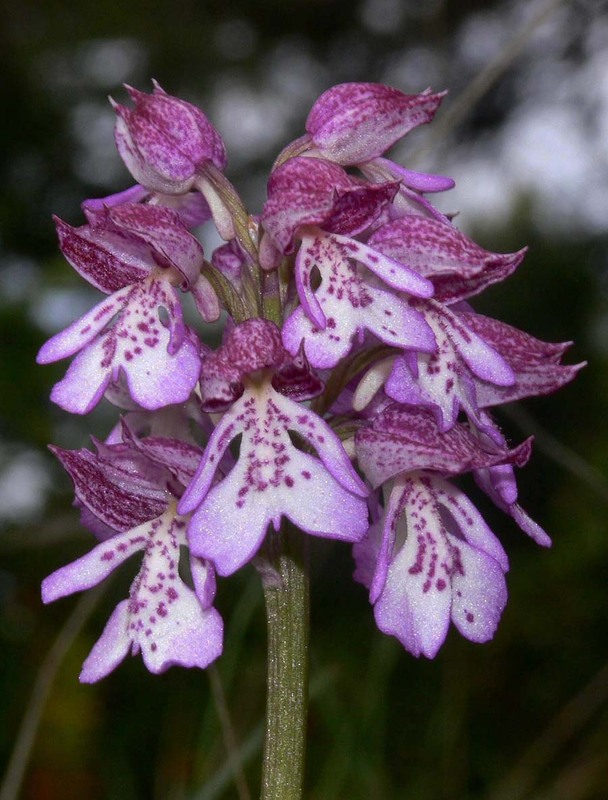 In the more southerly areas of Greece and Italy, O. italica often replaces these two species and it's thought that O. italica is in fact O. militaris that has evolved in isolation and adapted to the different more southerly eco-conditions. 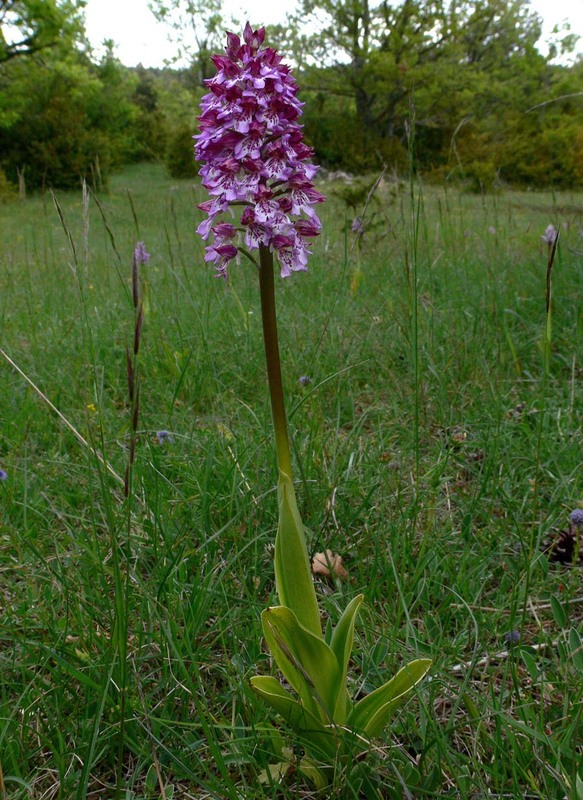 In Anatolia and Russia O. caucasica is believed to be the result of O. purpurea x militaris hybridization, where the two parents have been irretrievably subsumed into the swarm. 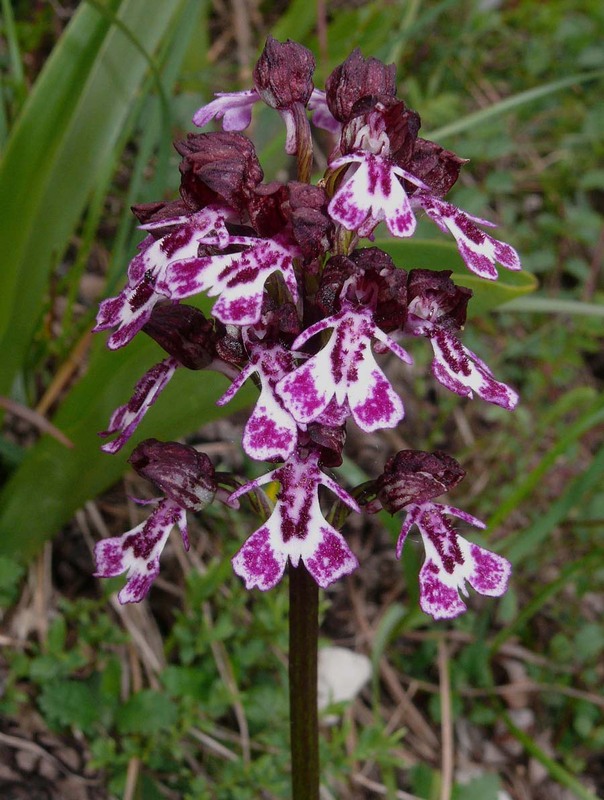 O. stevenii is also resident in these two countries and like O. italica, is thought to be a geographical adaptation. 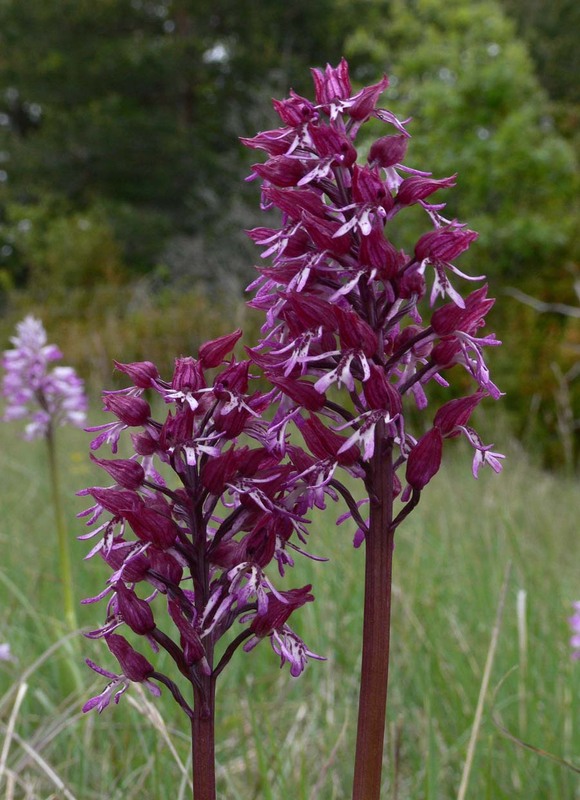 Given that in Russia one can find both O. purpurea and O. militaris plus their hybrids, identification can be confusing.